Pitcher Aaron Blair (Marshall) is making his mark in the Cape Cod Baseball League this summer with another pitching performance that earned him Coca Cola Pitcher of the Week for the second week in a row. 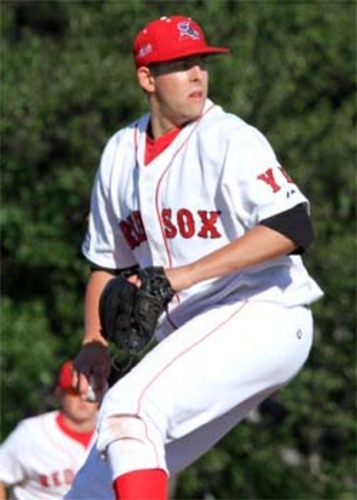 In the Red Sox game vs. Brewster last Thursday, Blair hurled six innings with seven strikeouts and two hits allowed. In his 2012 season at Marshall, Blair allowed only three home runs over 83.2 innings pitched. It’s no surprise that baseball runs in the Blair family, with his father having played at UNLV and his brother currently playing at CSN. Slugging outfielder Phil Ervin (Samford) led the Mariners with some impressive performances that earned him Coca Cola Player of the Week. 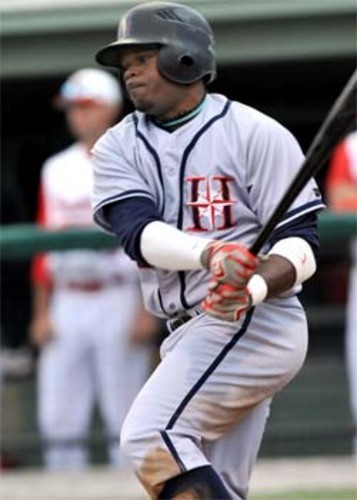 Ervin currently leads the Cape League with five home runs and is currently batting .440. In the Mariners’ game vs. Bourne last Friday, he finished 4-for-4 and his home run in the fourth inning helped Harwich to a 9-5 victory. He hit his fifth and league-leading homer in Sunday’s game vs. Y-D, leading the Mariners to a 7-3 victory.